One of the best and leading broadband service provider of India, Act Fibernet has launched a new plan called as Giga plan. This is the last plan and would cost Rs 5,999 per month. In the plan, the user would get a weird line of high speed 1GPS internet connection with a FUP of 1TB. The company was making a lot of improvements in the lines and also in its services to upgrade their offers for its customers and to attract new ones. As of now, the GIGA plan is available only in Hyderabad, but the company has confirmed that it would launch the same plan in other states as well. By paying a sum of Rs 5,999 per month, you would get a high speed weird line of 1GBps. Well, every plan of Act Fibernet has the FUP limitation, The GIGA plan comes with a FUP cap of 1 Terabyte. To get the 1GBps internet connection, the customer needs to pay the installation charges i.e., Rs 5,000 (one time cost). As you can see, the GIGA Plan is really huge and could the best for shops or companies where the internet is the top priority. Act is offering other plans like 25 MBps, 50 MBps, and 100 MBps with an acceptable limit of FUP. You can check the plans for your state from the official site of Act Fibernet. 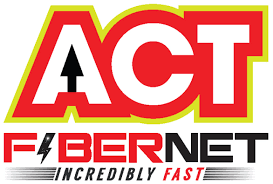 If you are willing to opt Act Fibernet for internet service, you can directly make a call back request from the site itself. When choosing among the most reliable ISP providing satellite internet, be sure you look at the right angles to ensure you’re getting what you need. Because at the end of the day, you don’t want to pay more for what you don’t need.